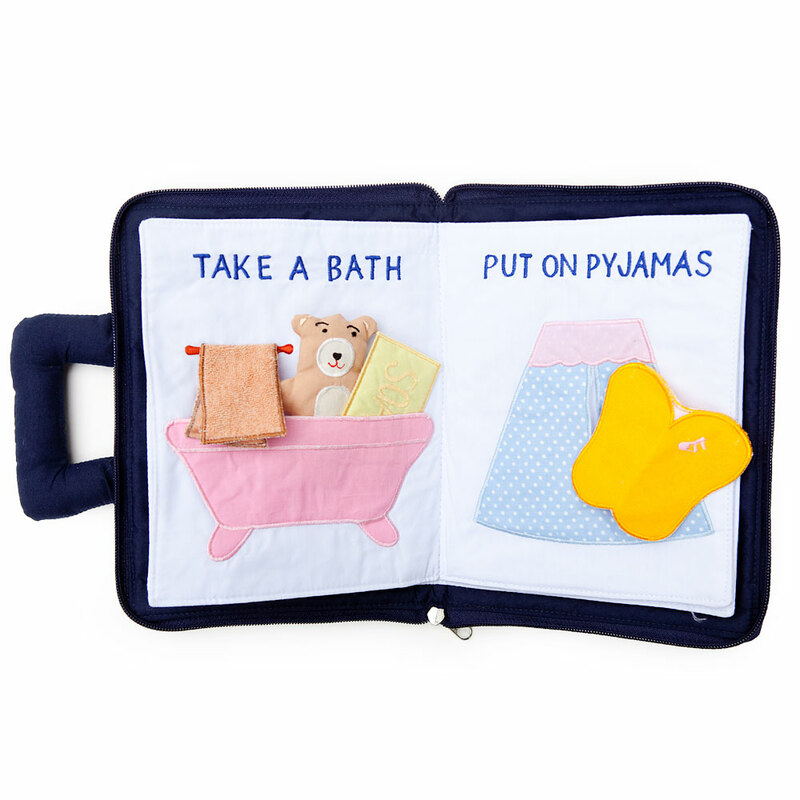 This clever soft fabric counting book is the perfect travel companion for your child. 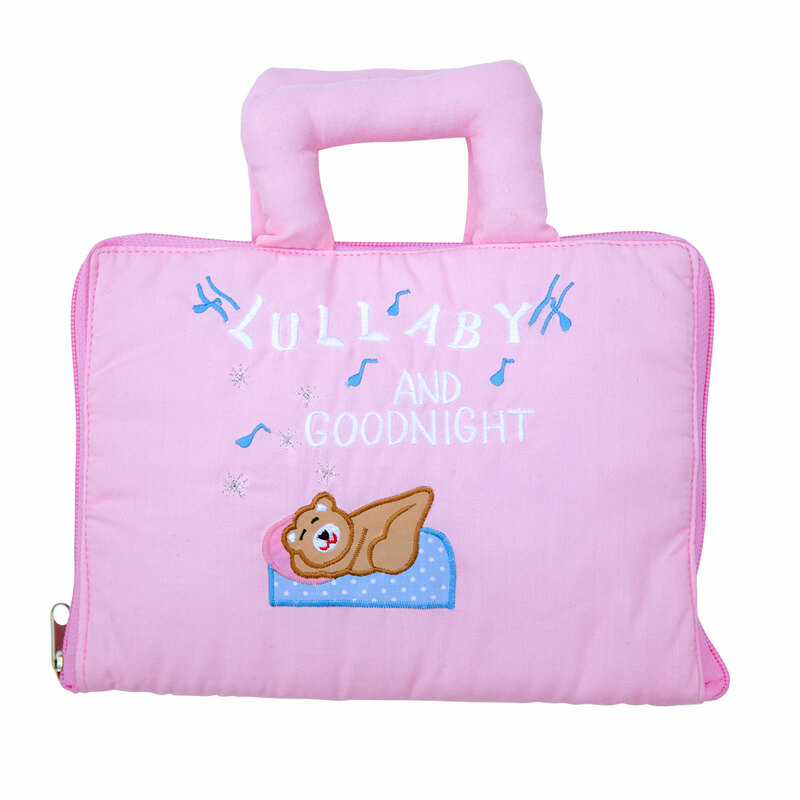 It zips up all the way round to keep all the pieces within and features a soft handle which is easy to hold for little hands. 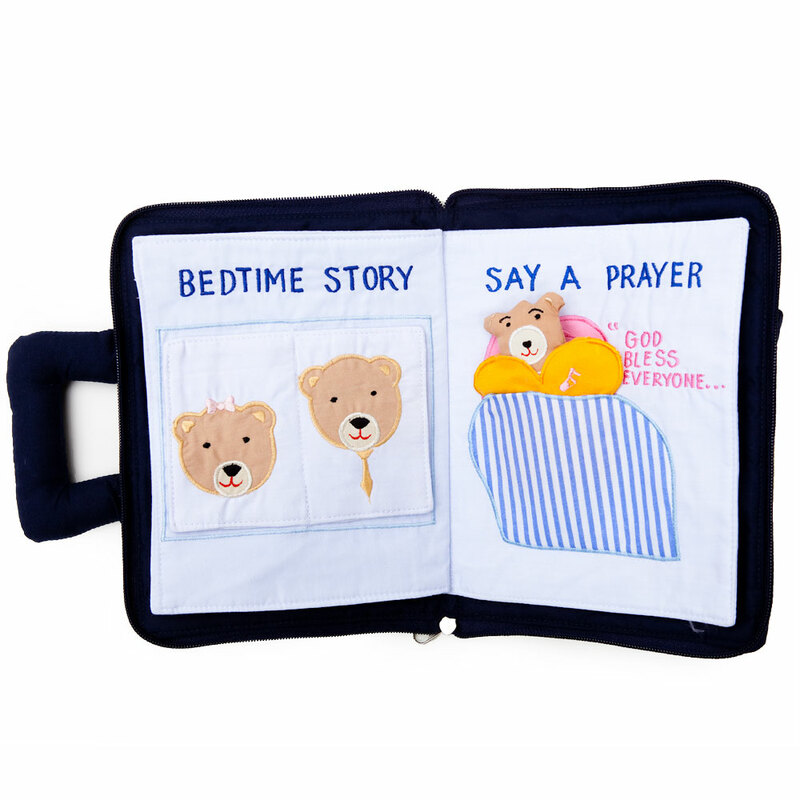 The Lullaby and Goodnight Book Bag features 8 soft pages containing a removable baby bear which your child can "get ready for bed" as the book progresses. On the last page, the Mummy Bear moves to lean over and kiss Baby Bear goodnight. Your child will delight in embellishing the story while also being encouraged to remember what they need to do before going to bed. A wonderful educational toy which is also perfect for bedtime. Measures approx. 23cm wide by 16cm high plus handle approx 6cm high. Please note: This listing is for a PINK cover. Images of inner pages (photographed from the navy cover option) are for illustration purposes as the contents are the same for both versions.